You can also perform a more selective search for churches in the Nettleton area or see them printed on a map. Some portions of the church tower may date to Saxon times. The church was rebuilt in 1805 and again in 1874. A photograph of St. John the Baptist church is at the Wendy PARKINSON English Church Photographs site. Steven RUFFLES has a photograph of the Church Tower at Geo-graph, taken in April, 2010. The tower was restored in 2011. The Wesleyan Methodists had a chapel prior to 1871 and the Primitive Methodists built a chapel here, built in 1858. For information and assistance in researching these chapels, see our non-conformist religions page. Richard CROFT has a photograph of the Wesleyan Chapel on Geo-graph, taken in May, 2010. 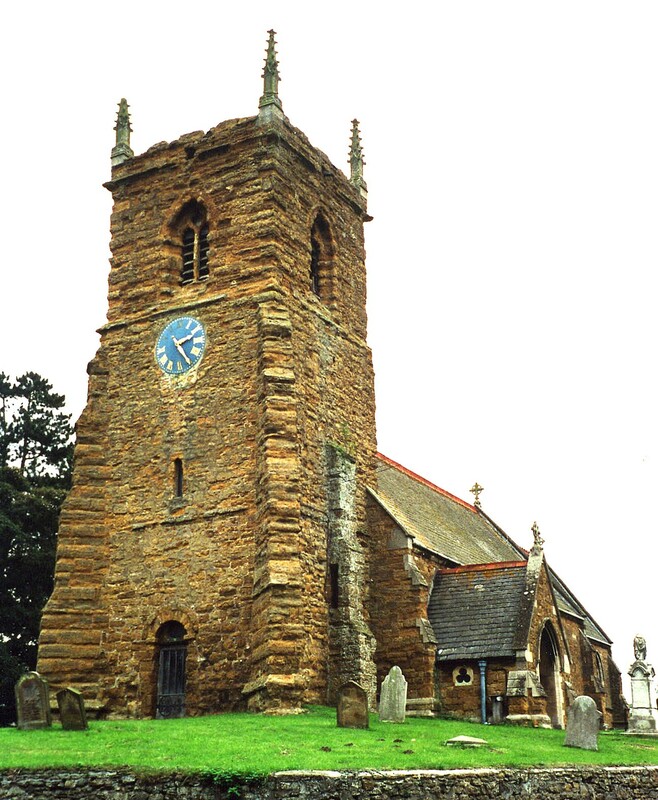 Nettleton is both a village and a parish on the Wold Hills. It sits only a mile south of Caistor and 9 miles south-east of Brigg. Rothwell parish sits to the east. The parish covers about 3,600 acres. The village of Nettleton sits in a valley below Nettleton Hill in the Wold hills. The village sits at the foot of Nettleton Hill. Visit our touring page for more sources. Ask for a calculation of the distance from Nettleton to another place. You can see the administrative areas in which Nettleton has been placed at times in the past. Select one to see a link to a map of that particular area. Ironstone was abundant in the parish. In the early 1900s it was worked by John LYSAGHT Ltd, of Scunthorpe. Stop by the Salutation Inn and chat with the locals. J. THOMAS has a photograph of the Salutation Inn on the Ciastor Road at Geo-graph, taken in April, 2014. 1868 John Foster MERRILL, vict. For governance, the parish was in the ancient Yarborough Wapentake in the West Lindsey district in the parts of Lindsey. Bastardy cases would be heard in the Caistor petty session hearings held on the fourth Wednesday of each month and nearly every Saturday. The Common Lands were enclosed here in 1792. After the 1834 Poor Law Amendment Act, the parish became part of the Caistor Poor Law Union. A cottage for two old married couples was built in 1922 in memory of the men of the parish who perished in World War I. A school for boys and girls was built here in 1835 to hold 120 children. The parish formed a School Board in January, 1880.